Teaching is an exceptionally rewarding career. A teacher has the great opportunity to influence the future in a way that others may not. It is a job that will truly be rewarding for many years. Every state has specific requirements for becoming a certified teacher. Continue reading to learn more about the requirements for becoming a teacher in the great state of Oklahoma. It is a good idea to begin the process by deciding which area you would like to teach. Do you want to work with young children or adolescents? Do you have a passion for a specific subject like Science or Social Studies? Do you prefer working with children with special needs? The choice is yours. If you are not sure yet, visits the state's Department of Education for information on educators and schools in Oklahoma. As with all states, it is a basic requirement that teachers possess at least a Bachelor's Degree. You must also complete a commision-approved teacher education program. Teacher education programs will place their focus on the area you wish to become certified in. If you do not have a Bachelor's Degree yet, you can likely complete a teacher education program and a Bachelor's Degree simultaneously through a blended program. These programs blend together all the required coursework for both a Bachelor's Degree and teaching certificate. Most accredited colleges or universities offer this program. In order to earn the required teaching certification to teach in Oklahoma, you must complete an accredited teacher education program. 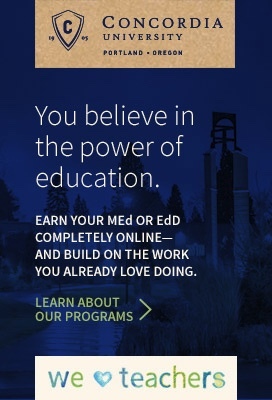 Accredited teacher education programs can be completed online or on a college campus. Teacher education programs are often comprised of two main elements: college coursework and fieldwork. Some of your college classes will cover subject-based teaching methods, differentiated instruction, integration of technology, and more. The fieldwork element of the program usually encompasses classroom observations, student teaching under the guidance of a licensed teacher, and/or internships. With student teaching, you will have the opportunity to take over a real classroom under the supervision of a master teacher. During your time in the host classroom, you will prepare lessons, implement the lessons, monitor classroom behavior, and grade assignments. Each of the above mentioned areas must be mastered in order to successfully complete a teacher education program. If you already possess a Bachelor's Degree, you can go through an alternative or post-baccalaureate teacher education program. Another option for individuals who already possess a Bachelor's Degree is a joint Master's Degree program. If the traditional routes to certification do not apply to you, Oklahoma has several alternative routes to teacher certification. For more information about this alternative route, refer to the Alternative Placement Information Packet. Certification Examinations for Oklahoma Educators (CEOE) has more information about specific tests required for your area of certification. Some colleges or universities ask that teaching candidates pass all or some of these tests before entering or exiting a teacher education program. Ask a program advisor to find out what the institution requires. Finally, you will be prepared to begin your career as a teacher and pass on your knowledge to students. You will have the ability to create lifelong learners in the wonderful state of Oklahoma. While there are shortages of teachers for subjects like sciences, technology, math, languages, and special education, Oklahoma's new and experienced teachers do a great job servicing the state's 666,120 public school students. Teacher-applicants with certifications in the above subject areas are advised to apply to the high-enrollment districts like Oklahoma City Public Schools, Tulsa Public Schools, and Moore Public Schools for greater flexibility in the hiring process. The table below lists the number of public school teachers in Oklahoma by grade level during the 2012-2013 school year. There are more than 160 private schools with an estimated 2,700 private school teachers in Oklahoma. The table below details the number of teachers by grade level during the 2011-2012 school year. From the time they are granted licensure, teachers pursue an ongoing and somewhat rigorous path of professional development. Data shows that teachers don't become masterful in their chosen profession for the first 3 - 5 years. Coupled with professional development opportunities, teachers have an accelerated rate of attaining mastery. In addition to boosting student academic achievement, engaging in ongoing professional development supports teachers in regard to communication, curriculum, teaching diverse student populations, administration, and various other relevant topics. Successfully completing accredited, high-quality professional development opportunities will also bring teachers closer to their salary and career goals. In the state of Oklahoma, the state Department of Education has established mandates to steer teacher professional development. Current endeavors are focused on bringing teachers up to date on 21st Century Learning in the classroom. 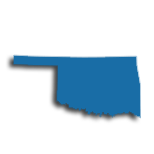 There are also a number of other offerings available in the state's database as well as offerings through the Oklahoma Education Association (OEA). Teachers who are seeking further information are invited to follow up with their administration team. You won't need a master's degree to teach in Oklahoma. However, earn this advanced degree and you'll open up doors for professional advancement and increased earning potential. And the skills and knowledge you gain through a master's in either education or the subject you're certified to teach will contribute significantly to making you more effective in the classroom, thereby improving student outcomes. Your Oklahoma Standard Teaching Certificate is valid for five years and renewed upon completion of at least three years of teaching and 75 clock hours of professional development. The Oklahoma State Department of Education maintains professional development requirements for educators. According to the Oklahoma State Department of Education, the minimum salary for educators with a bachelor's degree was $31,600 in 2017-18, while the minimum salary for educators with a master's degree was $32,800 during the same period.